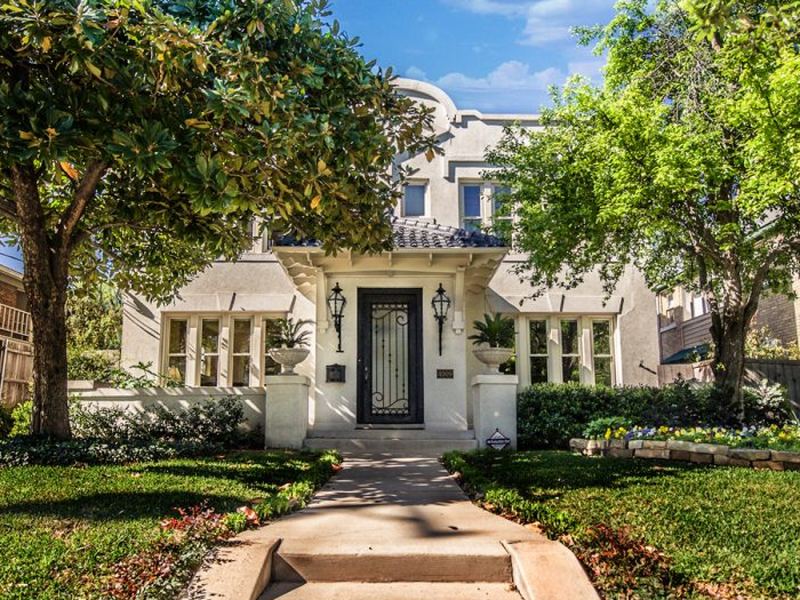 Spanish Colonial/Mission Style masterpiece on oversized lot nestled in a walker’s paradise in the heart of Oak Lawn. 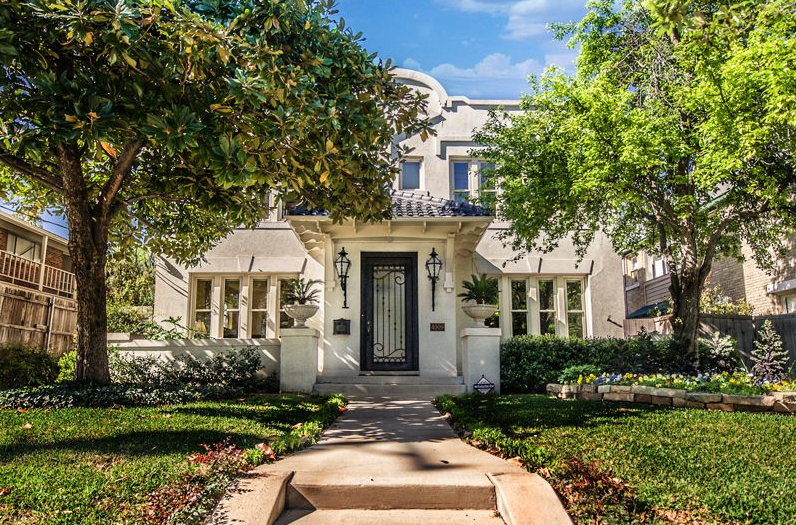 This private urban oasis features 3 master suites, plus a fourth bedroom, 2 living areas, gourmet kitchen, study, 4 gas fire places, walk in showers and closets. Screened porch, spiral stair to 2nd floor patio overlooks bright tropical landscaping around the pool/spa/cabana. All perfect for entertaining. The spacious 16 X 32 kitchen is the focal point of the house which includes custom cabinetry, large center island, Corian counters and stainless steel back splashes. Additionally, stainless appliances, Kitchen Aid dishwashers, bar sink and large walk in butler’s pantry round out this amazing space. Fully landscaped yard, pavestone patio, automatic in-ground sprinklers, natural gas grill, dual outdoor showers in private area with thatched roof, swimming pool with water feature, 6 person hot tub. Full restoration in 2001 includes new energy efficient double pane windows, ceiling fans, cove and track lighting, hardwood flooring, balcony and private entrance. Oversized four-car garage with 9-foot ceiling provides lots of storage, including climate controlled closet.